FIND THE ANSWER THAT YOU NEED. 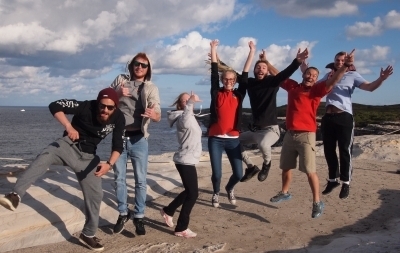 How long does it take to complete the Divemaster Internship? Regardless of your starting certification level, even if you’re not certified, the program takes 9 weeks to complete and become a fully certified PADI Professional! Once you’re a certified Divemaster, the instructor internship takes 6-9 weeks to qualify you as a PADI Master Scuba Diver Trainer (3rd tier PADI Instructor). What’s better Divemaster or Instructor? The answer to this question really depends on what you want to be able to do with your qualification. The Instructor Development Course requires a Divemaster certification as a prerequisite, as you will learn how to teach the Divemaster course as part of your Instructor training. So, Instructors can do a whole lot more than Divemasters can. Because of this most employers would prefer to have an instructor on board as they are able to offer a lot more to the dive shop and their customers. If you’re looking for a career change and looking to break into the dive industry, then an instructor qualification is really where you need to aim for. 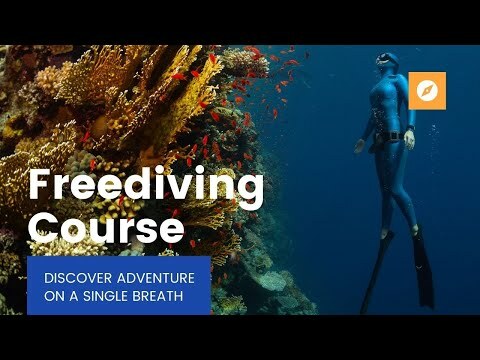 The first step in any professional training is the Divemaster course where you learn how to look after other divers before learning how to teach people to dive! At Abyss, not only to you learn how to lead divers, you get additional experience leading divers once qualified with a mentor to help you grow into an experienced and confident Divemaster when you graduate your program! Similarly, our Instructor Internship leaves you experienced, confident and employable - backed up by experience teaching actual students in the industry alongside our experienced full-time staff! Do you have accommodation available? Yes, we have an intern house just a 10 min walk from our dive shop. It’s twin share accommodation with 2 bathrooms, full kitchen, living room, study area, and dining area. There is a spacious backyard, and back deck to hang out and study in. The accommodation is $240/wk and includes light breakfast, (tea/coffee, cereal, bread, milk, etc), as well as cleaning products (dish tablets, paper towels, toilet paper, etc) and first aid kit. Can you do both pathway options? Definitely! It’s an additional $1550 to do both the Technical and the Eco pathway options. The programs are designed that you can do both of them simultaneously without extending your program. What visa do you need to participate in your internships? You only need to have a tourist visa to participate in the internships. Depending on your country, you may have an option to choose between 3 months, 6 months, or 12 months. In order to do both your Divemaster and Instructor training, you will need to opt for at least the 6 months option. If you are planning on staying in Australia and working in the country you will need either a Work & Holiday Visa, or a Working Holiday visa (which one depends on your nationality). This will allow you to work part-time while you’re here, either here during your program or afterwards. 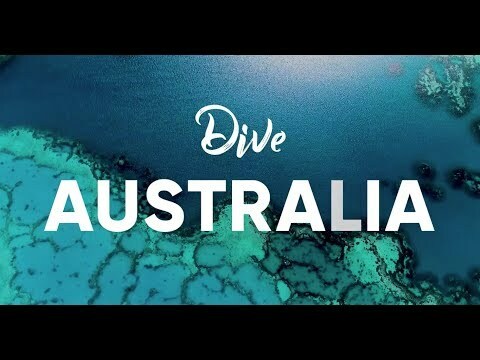 If you are only going to the Divemaster level (not continuing on to your Instructors), AND want to do the Great Barrier Reef work experience, you will need to have the Work & Holiday or Working Holiday visa to participate in the Great Barrier Reef work experience option. What prerequisites are there for your internships? For the Instructor Internships, you need to be a certified Divemaster or signed up to our Divemaster Course/Internship to get started on your training towards your Instructors. You also need to have been a certified diver for at least 6 months before starting your Instructor Internship and have at least 80 dives. Can I do the programs part-time? We have a number of local and international interns that do the programs part-time either while studying, or working, or otherwise occupying the rest of their week. Part-time programs are a bit more flexible and take a bit longer. We work closely with part time interns to put a schedule together that works for them. Some interns come every Sat-Sun, some come every Tue and every other Sunday. We’re out diving every Tue, Thurs, Fri, Sat, and Sun – we can definitely find a schedule that would work for you! I haven’t dived in a long time? We are happy to include a bit of a refresher at no extra cost as part of your program. We want to help support you getting back into the water and achieving your dream job. Can I work to pay off my training? 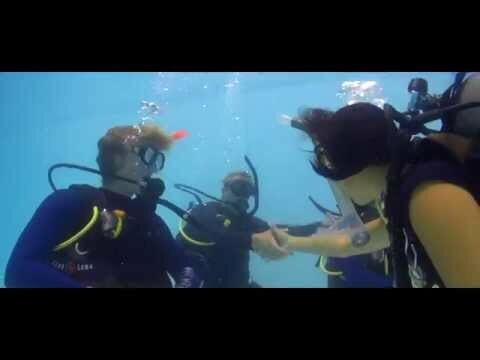 All our programs are designed to train you to become the best possible dive professional. We are the only PADI 5 Star Career Development Centre in NSW, with 3 full-time Course Directors, and 4 full-time Master Instructors and make sure you're learning from the best from the beginning of your program. Throughout your program we will have one of our paid full-time team working with you to ensure you are continually developing. Most programs that offer work in exchange for training take a long time to work off and is mindless work that you don't get a chance to learn from. Our programs make you more employable, allowing you to get positions right out of the program faster, and earn back what you’ve invested in your training. Quality training costs money and if you want to be a quality dive pro that is employable you need to get your training from a reputable, professional dive centre. Here at Abyss, we do not use non-qualified people to guide, lead or train, so it is not possible to work until you’re a certified professional. 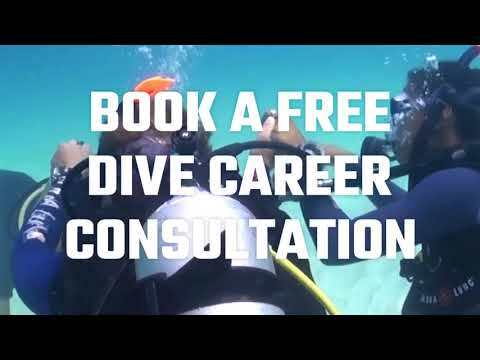 We will make you the best possible dive pro you can be and set you up and back you up when looking for employment! A Career as a PADI Dive Professional.